While some of the sensational claims in Alien Liaison have subsequently been shown by the author to be spurious or bogus (particularly those involving Bob Lazar and Bob Oechsler), a substantial amount of truly sensational information remains. Based on interviews with key intelligence and military personnel - including Admiral B.R. Inman, former director of Naval Intelligence and the National Security Agency - Timothy Good shows that the United States has researched a number of recovered alien spacecraft and has established contact with some extraterrestrials. The revolutionary propulsion system that powers these craft has almost unlimited applications for the future of energy resources as well as of weaponry. Also included are details of medical examinations of both live and dead aliens; the alarming incidence of animal mutilations associated with UFO activity; evidence of an alien base in Puerto Rico; pilot encounters reported around the world; official Russian recognition of UFO reality; and further evidence for Good’s discovery of top-secret research by a special branch of the Royal Air Force. 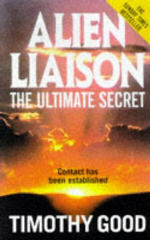 Alien Liaison spent 13 weeks on the Sunday Times best-seller list. "It is painful to turn to the shrill yappings of Timothy Good’s Alien Liaison ... Only mentally subnormal people could believe in it." "Writing about visitors from another planet is a dangerous task because it is easy to be made to look a fool... But Good avoids these pitfalls by virtue of his own objectiveness, clearness of writing and prodigious research." "Alien Liaison has shot into some best-seller lists with a minimum of media attention... Not much can be done with Timothy Good. He is a breathtakingly credulous young man who evidently took leave of his senses some years ago." 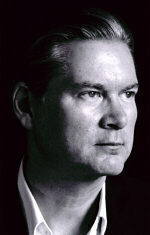 "If nothing else, he has written a wonderful suspense narrative... I suspect Alien Liaison will be dismissed by many people as the product of a man who is a crank about UFOs. Readers of the book will, however, doubt this, as it is quite clear Mr Good is openly sceptical about many aspects of the issue." "None of Good’s stories is usefully documented..."
"This is no poorly documented tabloid report – each chapter is heavily footnoted as to source. Good has delivered an enthralling balanced treatment that leaves you feeling decidedly uneasy after you have read it. Not to be missed."